There are so many different aspects of SEO that have to be carefully balanced and considered. We all know that links are necessary, that content must be great and that on-page optimizations are a must. 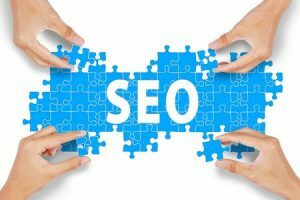 While most elements of SEO are rather tangible and objective, some aspects of it are a bit more nuanced. Authority is one of these areas; how exactly does somebody know how to add more “authority” to their content? The word itself doesn’t provide many clues. In short, authority is a measurement of both the quality and quantity of your content, as well as its likelihood of being accurate and informative. Below, we’ll discuss some ways on how you can inject more authority into your SEO content efforts. Search engines love to see specific, verifiable claims within your content. This is a key measurement by many people’s accounts of what factors into SEO authority. The more factual content you can use in your SEO strategy, the more likely that search engines are going to view you with credibility. This can be anything from detailed and factual claims to specific stats and figures. You’ll want to be sure whenever possible to link to another website that verifies this information; governmental and educational websites are ideal. By pinging URLs back to trustworthy sources when using factual claims, you’ll give Google and others the signal that your website can be trusted. Authority in SEO is determined by a number of factors, but the “professional” element is still a vital component. The more detailed and professional you make your content, the more likely it is to send the right signals to search engines regarding trustworthiness. Whether you or somebody else who is an expert is contributing to your blog or website, be sure to mention any professional titles, accreditations or certifications that speak to the authority of the writer. This can help improve SEO rankings by itself in many cases. Lastly, be sure to use words and phrases that convey a sense of expertise, including “guide”, “advice” and yes, even “professional”. The way search engines assess content for authority is truly three-dimensional. It’s not just about the words that you write down, but also about the various types of content you use within it. Various forms of multimedia – photos, infographics, podcasts, videos – all help to add credibility to your content. By ensuring that each piece of multimedia is optimized for SEO performance, search engines will be able to index and assess these elements along with standard text, and give you credit for supplementing your content with multimedia that adds value. Whether you’re using social media embeds or videos from another website to make your point, you want search engines to be pinging URLs for multimedia as much as possible in each piece of content. The key to mastering the art of SEO authority with your content is to ensure value is added. Whether you incorporate multimedia, include professional opinions and insight, or use factual claims, search engines will appreciate it. What are some other ways that you’ve been adding value to your content? Let us know about it below in the comments.